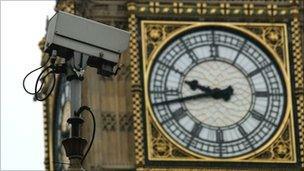 CCTV is being used increasingly extensively in the UK these days. It seems like it’s impossible to walk in some places without spotting a ubiquitous CCTV camera high above on a wall looking down. While there is a fair amount of criticism of CCTV recording in public places, CCTV images have helped in the solving of some nasty crimes of late (source: http://www.bbc.co.uk/news/uk-england-london-12080487). Most CCTV recorders write their images to hard drive where they can be recalled when necessary but what happens if the CCTV images are lost? Who do you go to if you need them restoring? UK company Data Clinic are CCTV restoration specialists who are able to retrieve the video and images recorded on most CCTV systems. Their skills are known far and wide and are used by the public, business owners and police forces to retrieve potential evidence that may be stored on a CCTV system. They have been asked to recover CCTV images that have been lost and deliberately deleted as well as from hard drives that have stopped working. Many CCTV systems record the data to their hard drives without issue but some of the hard drives in the recorders are not of the best quality and can break very easily. This is when Data Clinic’s skills come into their own – recovering the images from the CCTV so that they can then be examined by a trained and highly skilled computer forensics examiner who will be able to extract evidence.